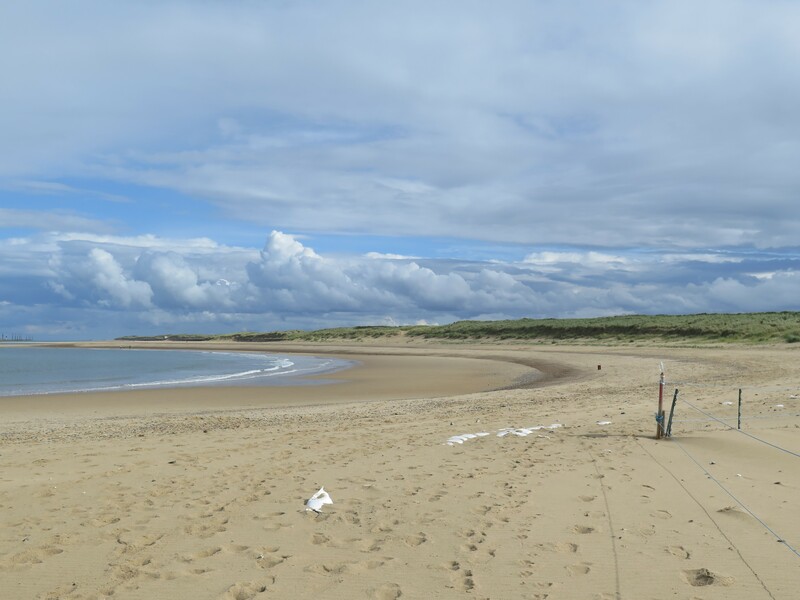 At a colony along Norfolk’s east coast where I’ve been helping as a volunteer, RSPB wardens are providing dedicated round-the-clock protection for endangered beach-nesting birds. 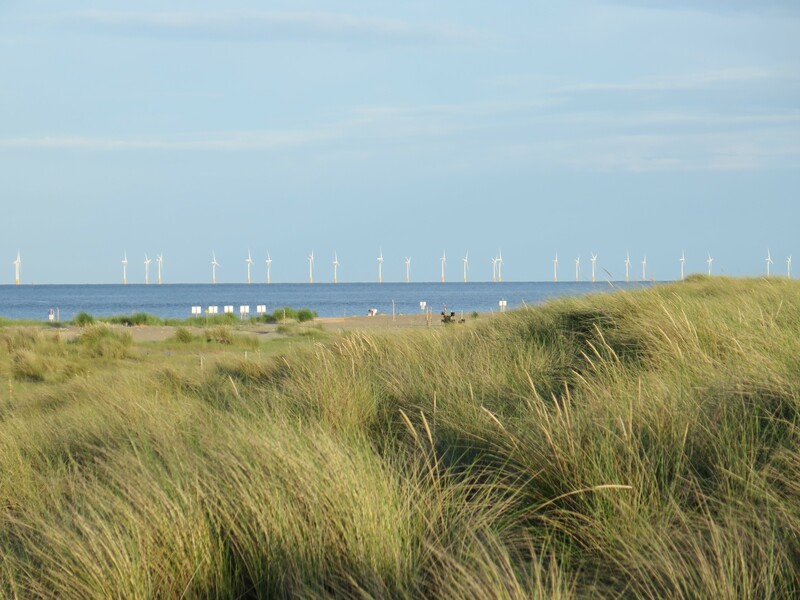 The RSPB’s conservation work is part of the EU Life + Nature Little Tern Recovery Project involving eleven partner organisations, including the RSPB, Natural England, The National Trust, Cumbria Wildlife Trust and Lincolnshire Wildlife Trust. The recovery project has been crucial in monitoring, protecting and increasing little tern populations across the UK. 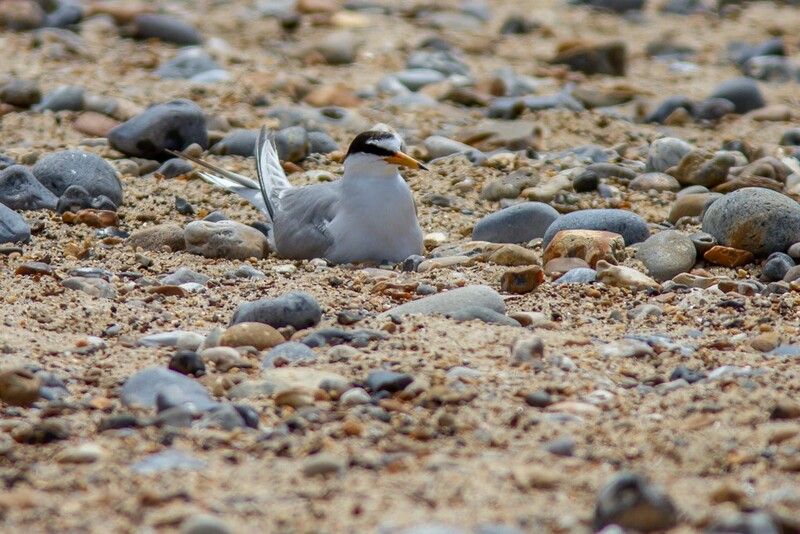 In late April to early May, little terns start arriving on UK shores to prospect for the best nesting sites. They spend the summer raising their young then make the long journey back to West Africa with newly fledged chicks in August. 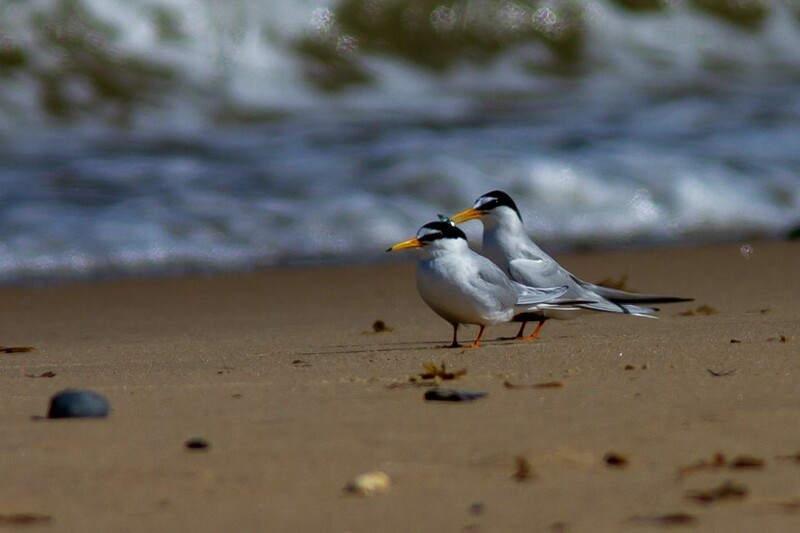 Little terns set up their colonies on beaches with a mix of shingle, pebble and sand, grassy vegetation, and nearby clear water with a supply of sprats, herring, sand eels and crustaceans. The recovery project closely monitors twenty sites around the UK, collecting breeding, feeding and population data, and keeping birds safe. Wardens and volunteers raise public awareness by talking to visitors and passersby about little terns and explaining why the colonies are fenced off until the birds leave. 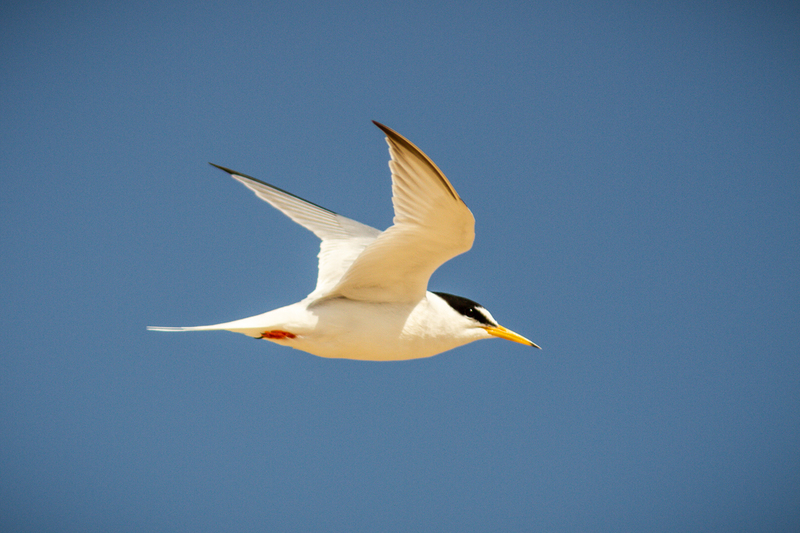 Predation, extreme weather, and human disturbance are major threats to little terns. Little tern eggs are at risk from predation by hedgehogs, gulls, and crows, whereas chicks are taken mainly by birds of prey and foxes. Despite their small size, little terns are protective parents. They will circle a predatory bird en masse and try to draw it away from the colony. Wardens can wave arms, clap, and shout but even if this seems to work, a persistent predator will return. Diversionary feeding can sometimes help. If a kestrel fails to take a live chick, it may take a dead rat from a feeding platform, which may delay its return to the colony to predate more chicks. Last summer, a hobby was the main predator. This year a hungry hedgehog feasted on eggs at the Eccles colony before being caught and relocated, while a kestrel has taken more than fifty chicks further down the coast at Winterton. A hobby has visited both colonies, chasing terns across the water, twisting, turning and tracking relentlessly. Fledglings are easy prey. Hobbies are so fast and agile that shouting on the shoreline seems futile, but the wish to see the tiny terns escape is so strong, anything is worth a try. When you watch the birds through the breeding cycle from mating to fledging, you can’t help being emotionally involved. I wonder how the full-time wardens cope, especially with the high number of chicks taken this year, but every fledgling setting off for Africa is a future breeding bird. 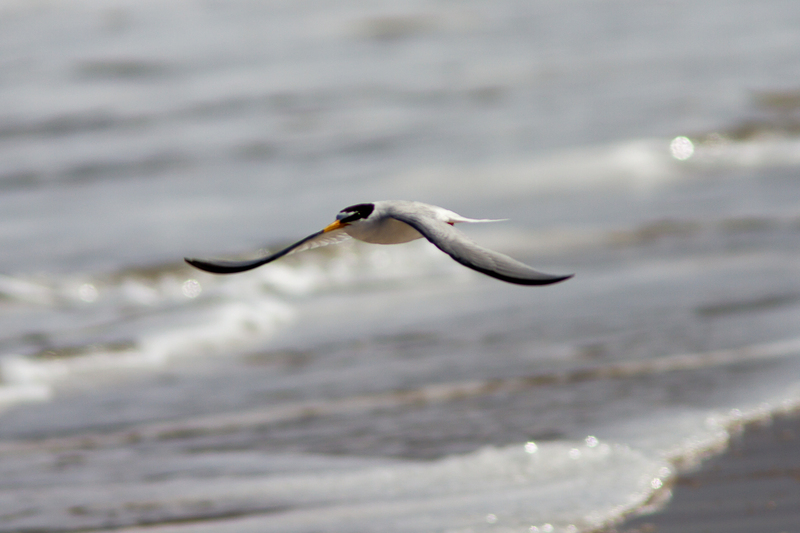 Extreme weather also threatens little tern nests, which are simple scrapes in the dry sand above the high tide mark. At the end of June, a high spring tide combined with strong onshore winds was a major worry for Little Tern Recovery Project Officer Fabienne Fossez who organised her team of wildlife wardens and volunteers to fill sandbags before the tide struck. With only moments to spare, RSPB wardens moved eggs from scrapes at the front of the colony to temporary nests in buckets filled with sand. Chicks bowled over by the sea were lifted to safety and no nests or chicks were lost. Terns are easily disturbed by people or dogs that come too close to the colony. Regardless of whether dogs off the lead would enter the colony, terns see them as predators and may leave their nest. Eggs and chicks are exposed to predation, heat or cold and on the East Norfolk coast, the wind can be relentless even in summer. Birds who feel threatened may dive-bomb and give an alarm call warning people to move away. During my colony-watching shifts, I’ve been talking to dog owners about how we can help little terns. I’ve been heartened by people who are enthusiastic about these beautiful birds but saddened by others who selfishly and wilfully ignore signs and requests. Not everyone is interested in wildlife, but it puzzles me when people spite those who are by putting wildlife at risk. Around the world, beach-nesting birds are vulnerable to increasing human settlement and disturbance. We can help keep birds safe by taking care around eggs on the beach. 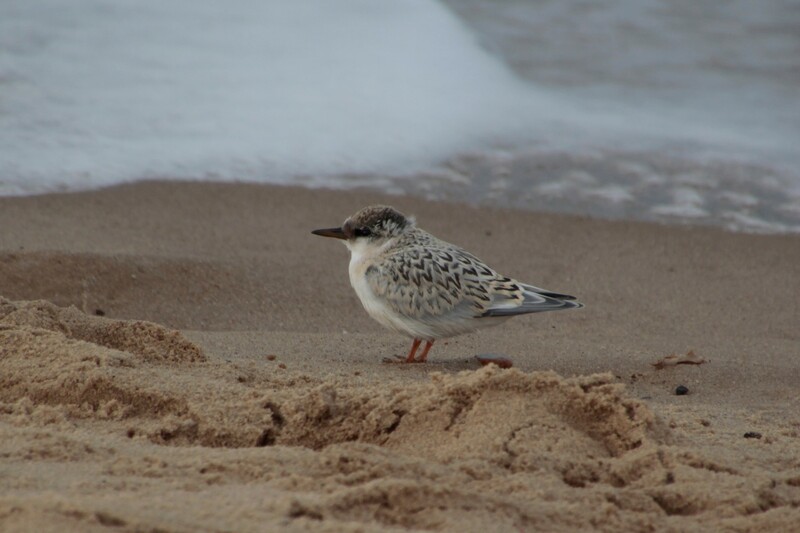 At Norfolk’s east coast colonies, some eggs are yet to hatch for birds who were late laying, or who lost their first clutch or their first brood of chicks. 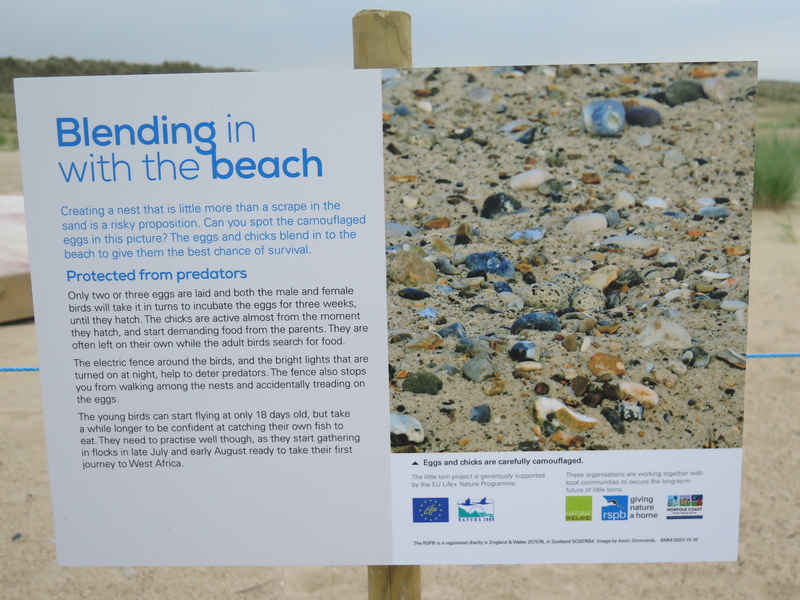 We can also watch out for vulnerable chicks feeding on the shoreline or hiding in the marram grass in the dunes. Keeping dogs on a lead near fenced or known nesting sites will reduce disturbance. Terns will be able to sit on eggs, keep chicks warm and fed, and teach fledglings to fly and feed, ready to leave for Africa. Underweight or weak birds are unlikely to survive the journey. When we spend time on the beach, we’re sharing wildlife habitat. A little care can give beautiful beach-nesting seabirds like little terns the best chance of increasing their numbers and securing their future. In this way, we can all be wildlife wardens! 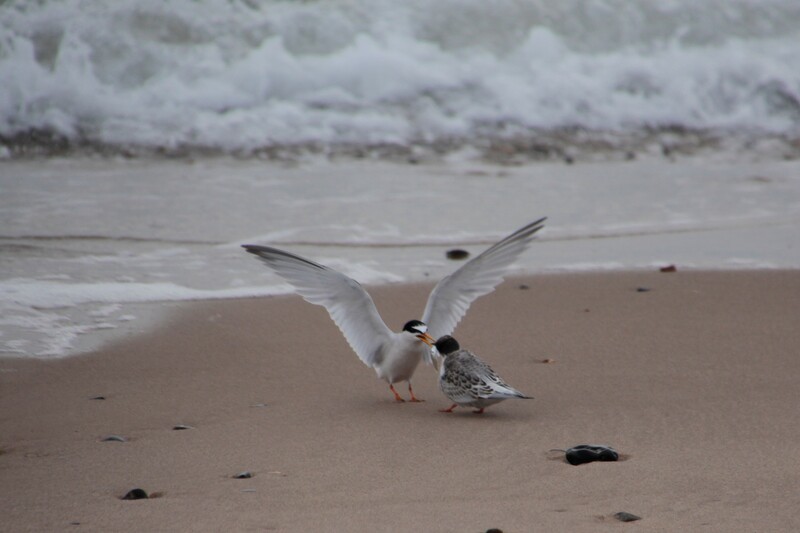 To find out more about little tern ecology and conservation, including photographs and warden blog, visit Fabienne Fossez’s Little Tern Recovery Project website. 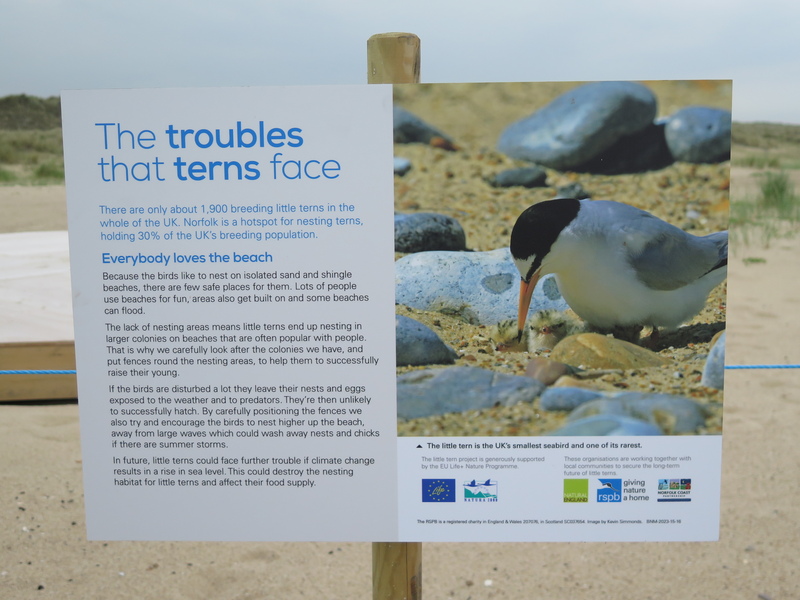 In one article, you’ve opened people’s eyes to a world most people no doubt are unaware of – both the vulnerability of little terns and the hard work of the volunteers. Like you, I simply can’t understand the mentality of ignorant people who refuse to cooperate. But I hope they are a minority. Thank you Jane. Yes, the odds certainly seem stacked against little terns when you consider all the threats. Terns lay 2-3 eggs to allow for nature’s threats but human threats can upset nature’s balance. If we can at least reduce the threat we pose, they have a good chance of survival. People are asked to keep back from the fencing around the colonies because terns are so easily disturbed. Unfortunately, this means that unless you have binoculars, you can’t see chicks easily because of their camouflage, making it harder for people to appreciate these birds. Wouldn’t it be wonderful if more children had access to binoculars to see birds close up and be inspired? I didn’t have a pair until I was in my mid-twenties – all those years I missed out!